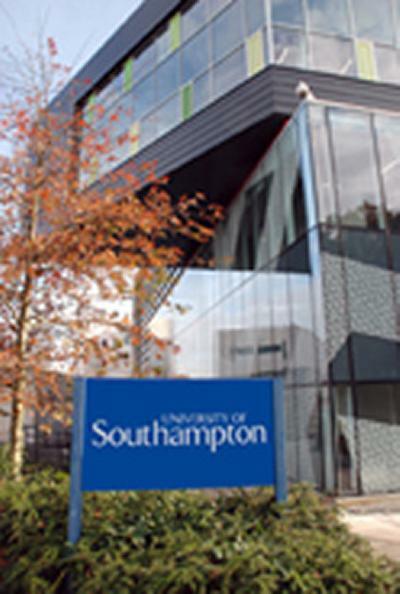 The University of Southampton has received three nominations in the Times Higher Education (THE) Awards 2011. The University has been shortlisted in the categories of University of the Year, Outstanding ICT Initiative of the Year and Outstanding Contribution to Sustainable Development. University of the Year – recognising Southampton’s bold and imaginative initiatives such as taking a leading role in curriculum innovation, pioneering the next generation of Internet infrastructure and new multi-disciplinary ventures in life science, marine technology and biomedical research. Outstanding ICT Initiative of the Year – for ‘Synote’, a web-based an innovative Web-based annotation tool which makes multimedia resources easier to access, search, manage, and exploit for learners, teachers and other users through the creation of notes, bookmarks, tags, links, images and text captions synchronised to any part of the recording. Outstanding Contribution to Sustainable Development – for the ‘Uni-Cycle’ project, which enhances the University’s commitment to increase recycling and reduce its environmental impact by refurbishing unwanted and donated bikes from around Southampton and putting them back into active use. The winners of this year’s THE awards will be announced at a ceremony at the Grosvenor House Hotel in Park Lane, London, on 24 November.